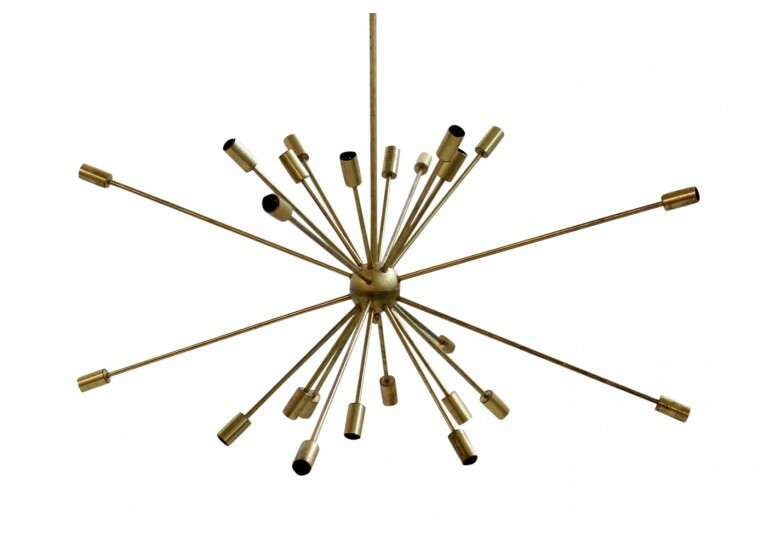 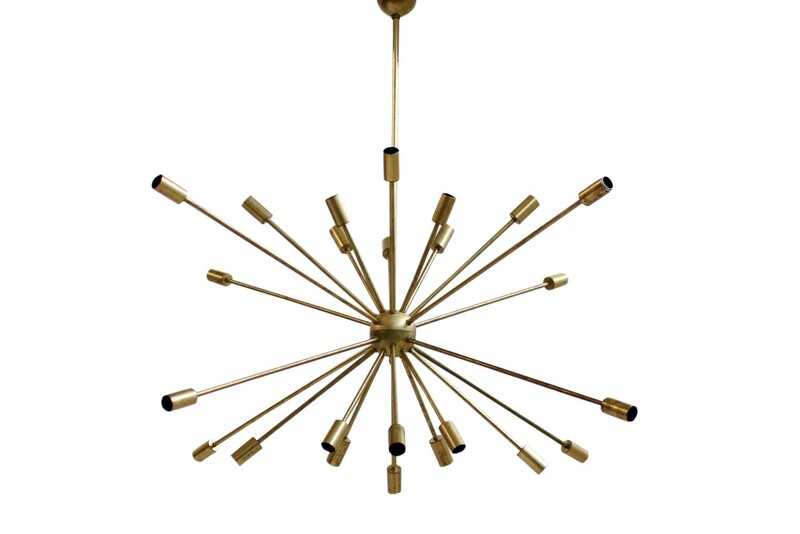 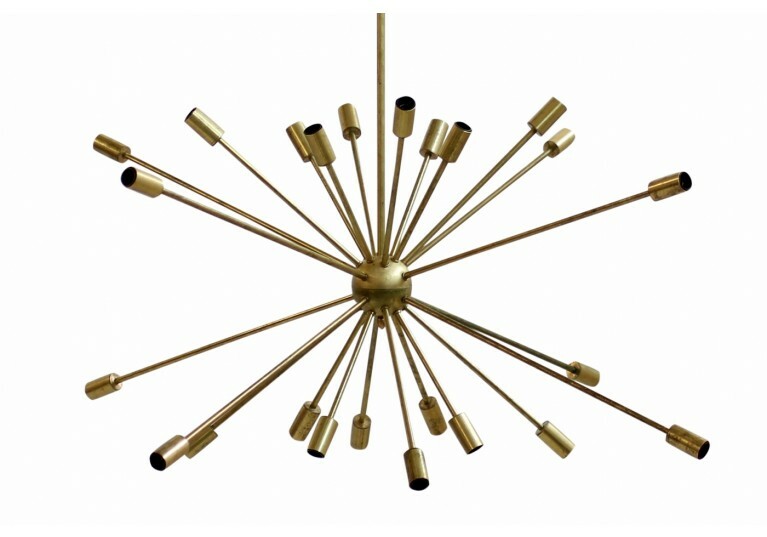 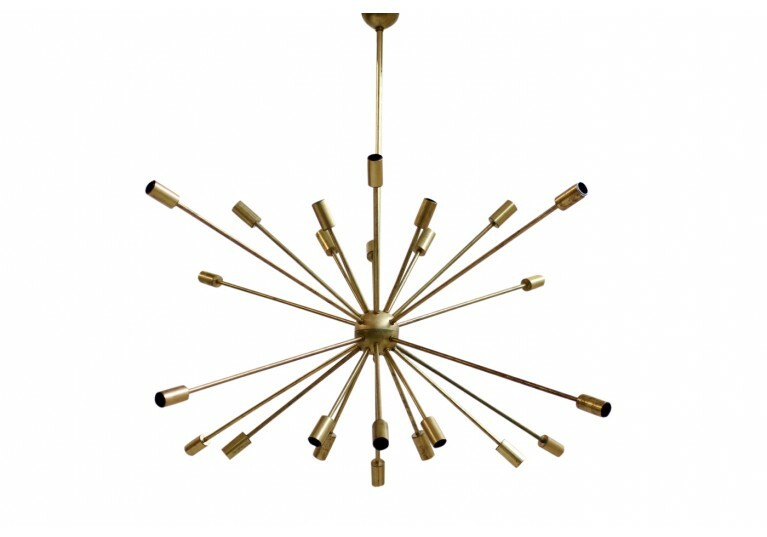 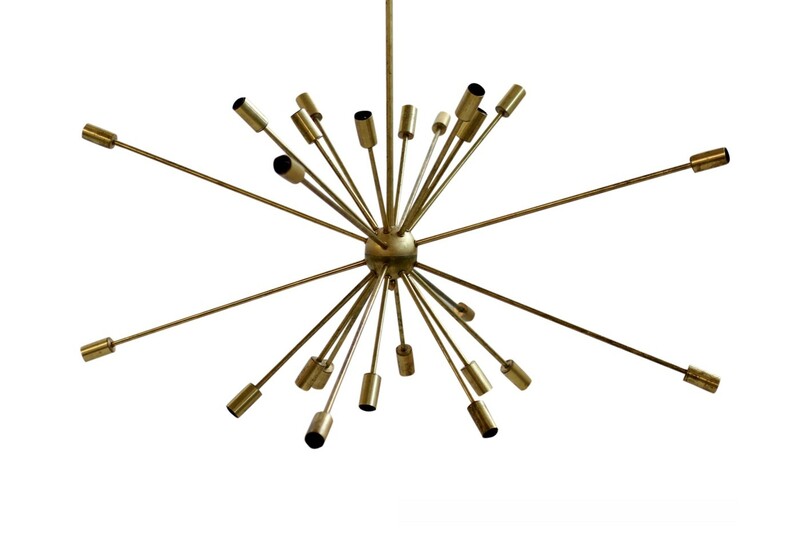 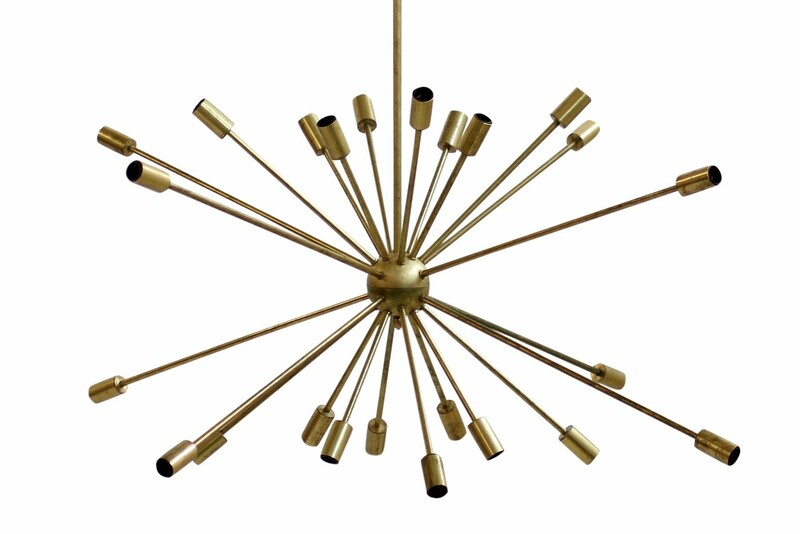 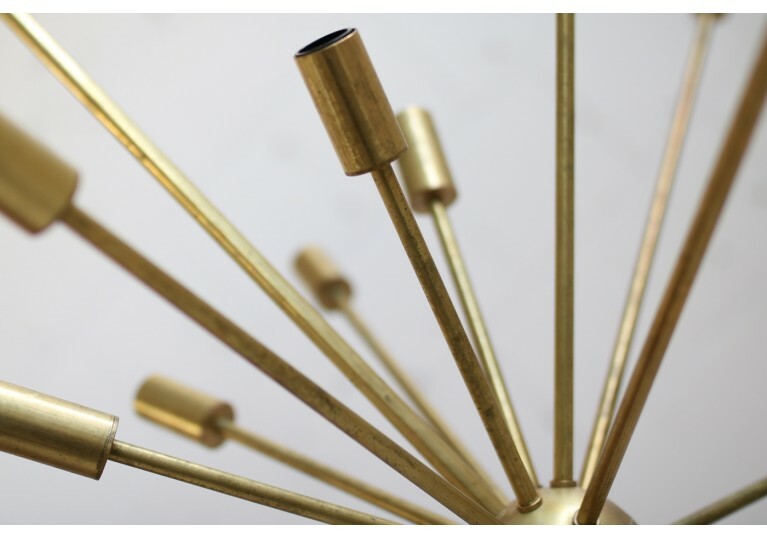 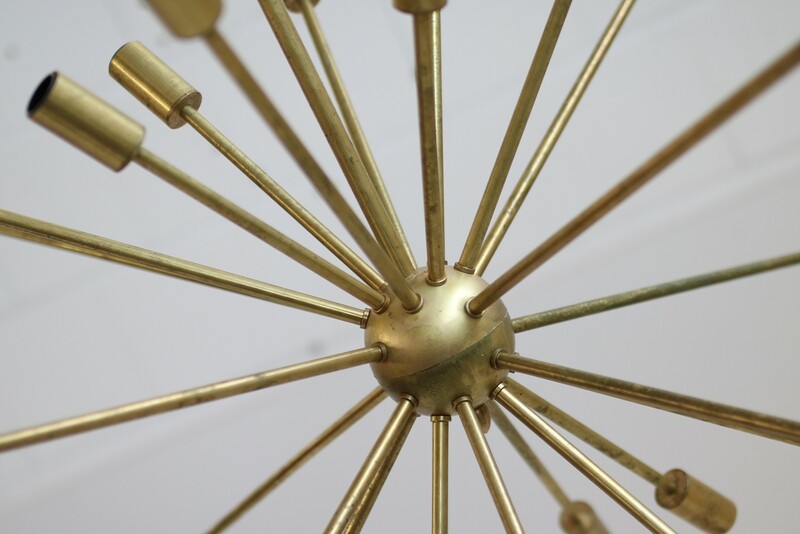 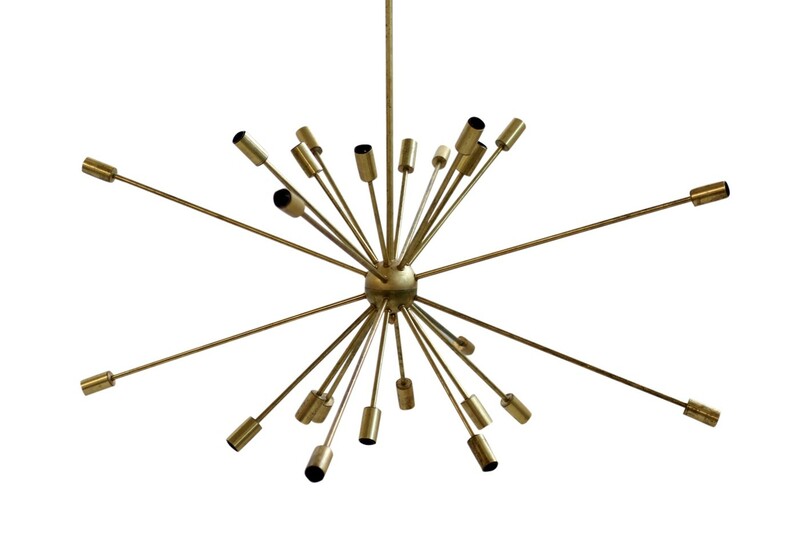 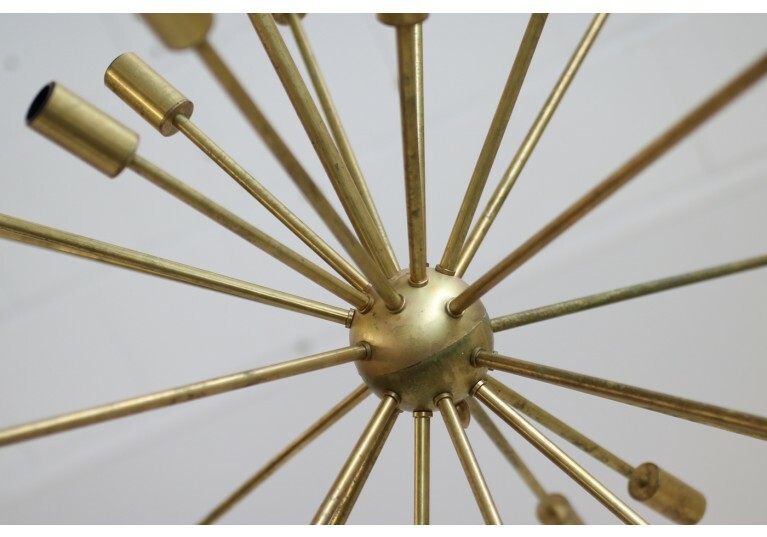 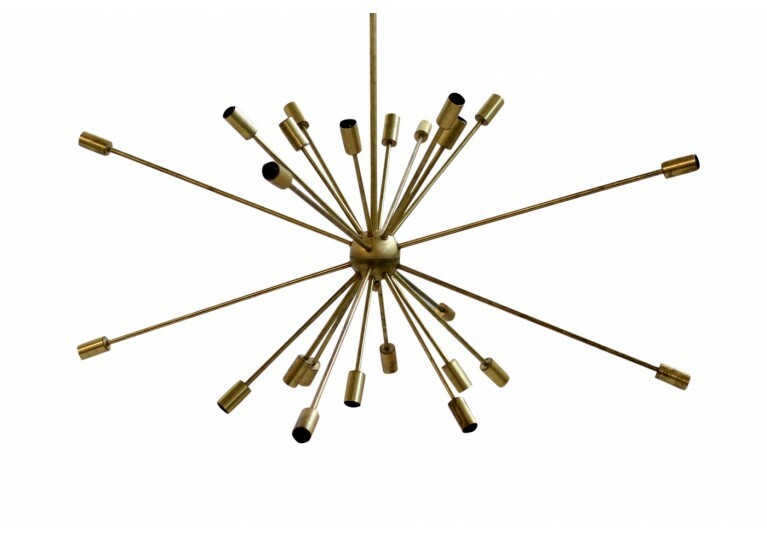 Beautiful Italian Sputnik brass chandelier, 24 arms, fantastic patina on the brass parts, in Stilnovo style, made in Italy. 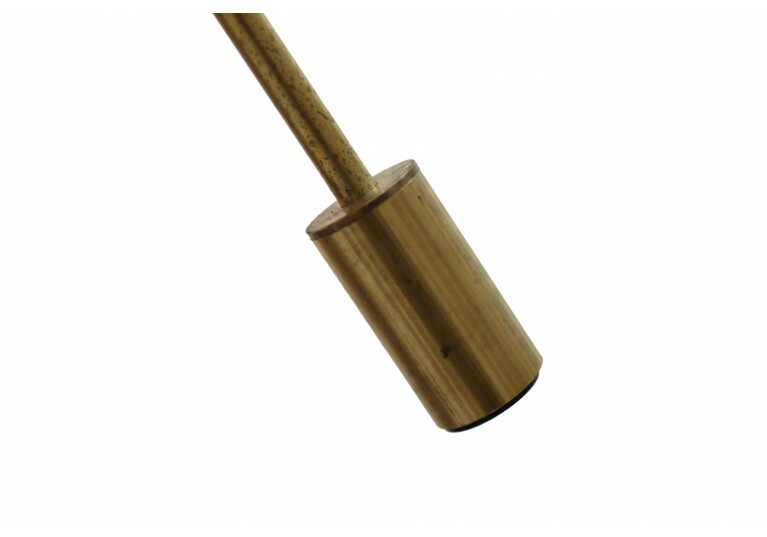 Rewired, it can be used in the US and of course in Europe or Asia. 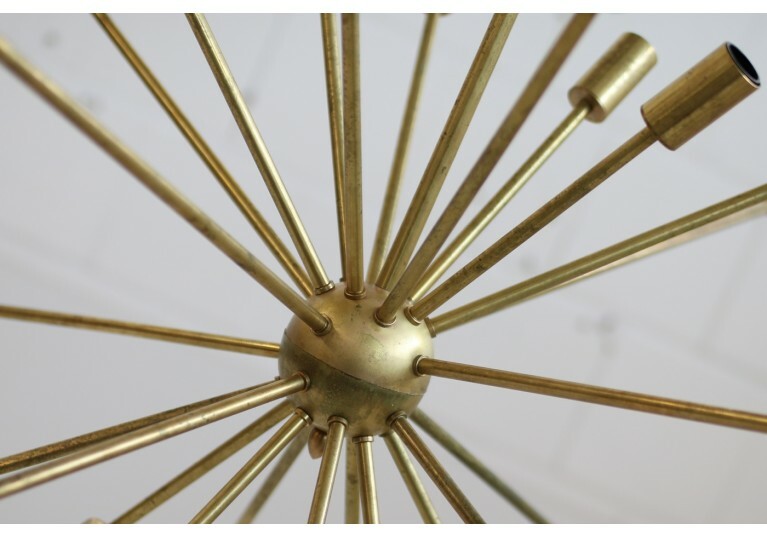 112cm diameter, 90cm high, 2 available.